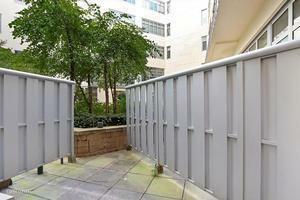 Excellent investment property with a tenant in place paying $3,200 a month. This large studio with home office is one of the best studio layouts at Arris Lofts. 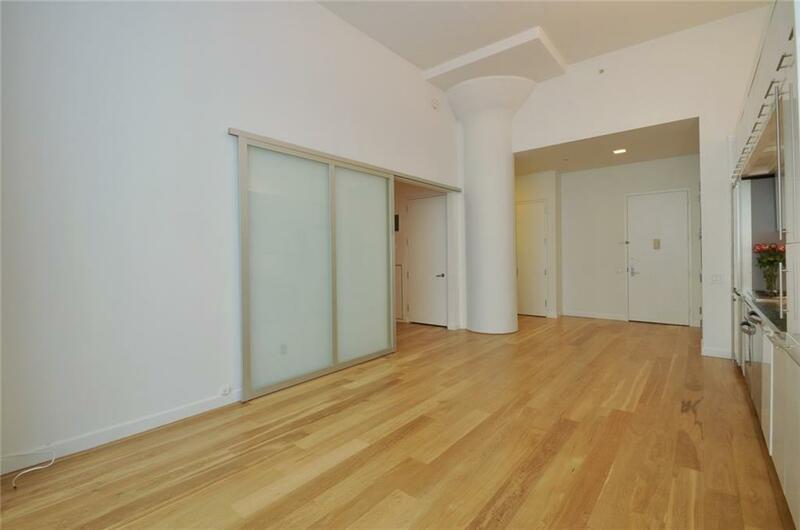 The 820 sf apartment features 14 ft ceiling, new custom hardwood floors, plenty of closets, washer/dryer, an outdoor terrace perfect for planting. The spacious home office, separated by sliding doors, can easily be used as a bedroom; it has his/her custom closets and is large enough to fit a king-size bed and much more. 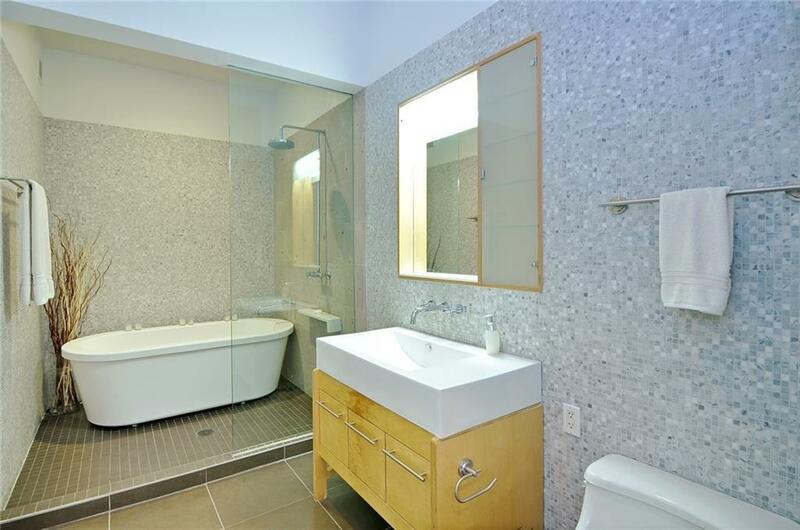 The bathroom includes a wet room with a shower and separate soaking tub. The renovated kitchen is equipped with new cabinets and Bosch appliances including a dishwasher and a convection microwave. Storage is not an issue with plenty of closet space, a separate laundry closet. Make this beautiful loft your own! Arris Lofts is the premier full-service luxury building in Long Island City. Amenities include 24h doorman and concierge service, full-size gym with lap pool, sauna, massage room, free workout classes, playroom, two common outdoor spaces, bike/pram storage, and large party room. Great neighborhood and accessible location, the E, M, 7, R and G trains are just in front of the building and one subway stop from Midtown Manhattan. A municipal parking garage available in front of the building. Listing courtesy of Hanifa Scully of Compass.